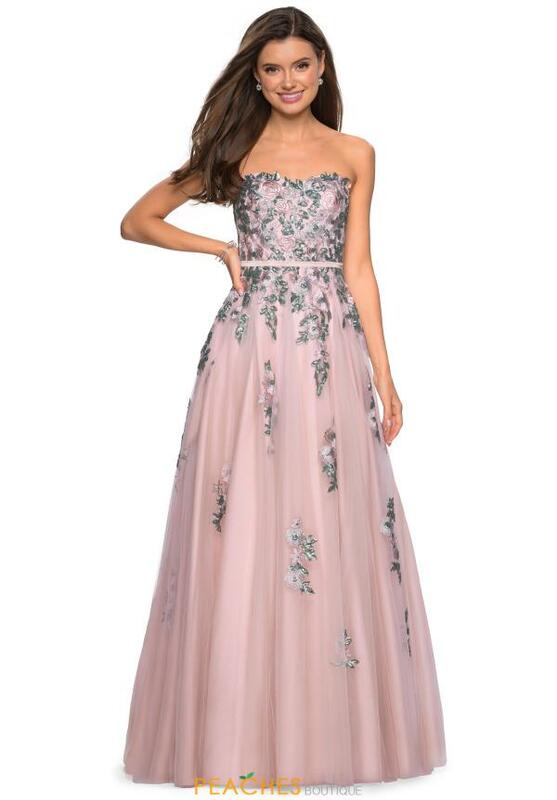 This vintage chic prom dress 27816 by Gigi is sure to make a lasting impression. 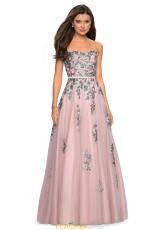 This fun and flirty gown showcases a strapless neckline and a tulle a line skirt. The bodice and skirt are adorned with stunning lace appliques that add the perfect contrast to this ensemble. 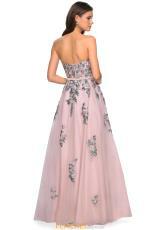 The back of this gown reveals a gorgeous open back, zipper closure. For more styles visit Peaches Boutique in Chicago.